A little over one year ago, the Tennessee Court of Workers’ Compensation Claims and the Appeals Board were borne. Our Courts were created in the historic 2013 reform legislation, which brought Tennessee in line with 48 other jurisdictions in their approach to workers’ compensation claims. Going forward, state trial courts with general jurisdiction would no longer decide cases. Rather, the new administrative courts, staffed with specialist judges, will resolve disputes. It’s been an exciting first year, building courts from the bottom up, and watching the judges “remove the training wheels” to start adjudicating cases. Clearly I’m biased, but I can state without hesitation that each and every jurist takes their charge very seriously, and they diligently pursue the court’s mission to provide a fair, efficient and professional system. Among the many tasks the trial judges perform is to study and apply all opinions from the Appeals Board. They agree that the Appeals Board has already issued some weighty opinions, with which every Tennessee workers’ compensation practitioner and party should be familiar. Specifically, the Appeals Board has already provided valuable guidance on the applicability of pre-reform Act caselaw in several categories of cases, as well as the meaning of key provisions of the new law. 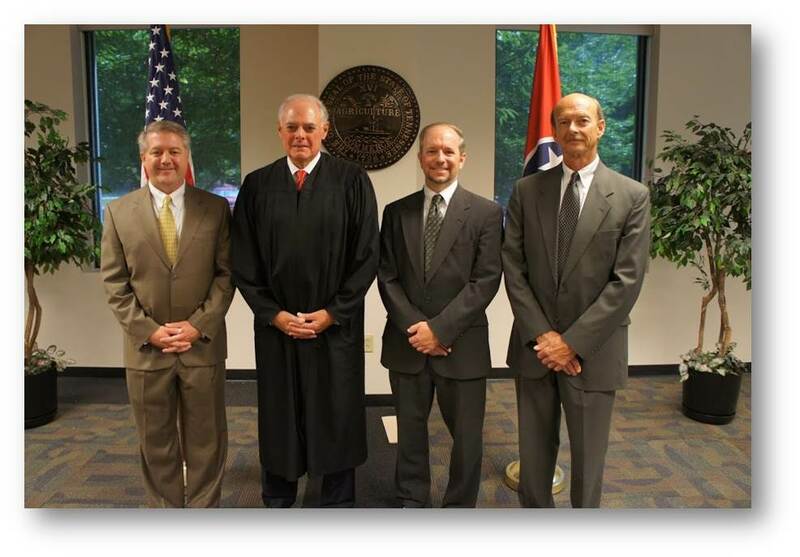 Left to right: Presiding Judge Marshall L. Davidson III, Nashville; Davidson County Circuit Court Judge Joe Binkley, Jr., who swore the Appeals Board judges into office; Judge Timothy W. Conner, Knoxville; and Judge David F. Hensley, Chattanooga. What follows is a three-part series of posts looking back at some of the Appeals Board’s opinions recapping its first year. But first, a disclaimer: I hold a J.D., but I’m licensed outside of Tennessee. For 16 years prior to working for the State of Tennessee, I worked in legal publishing, and I hearkened back to my journalism days to write this. This is not legal advice, nor is it legal research; it’s merely a blog post, which shares news and general information. Just because an aspect of an opinion isn’t mentioned below, does not mean it isn’t important. Please, please, please read the cases in their entirety! 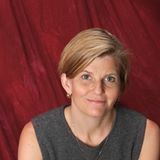 This can be done by visiting the University of Tennessee College of Law Library website, which is searchable and free. The opinions discussed below are linked there, but they are also available on LEXIS and Westlaw. Approximately one month later, in Gonzales v. ABC Professional Tree Services, the Appeals Board applied the four-pronged definition of the willful misconduct affirmative defense from Mitchell v. Fayetteville Pub. Utils., 368 S.W.3d 442 (Tenn. 2012). The Appeals Board has since revisited willful misconduct twice, in Scarbrough v. Right Way Recycling, LLC and Johnson v. Wal-Mart Associates, Inc. The year ended for the Appeals Board with the issuance of several opinions (East v. Heritage Hosiery Mills; Higgins v. Big K Food Market and Liquors, Inc.; Reno v. Xtreme Concrete Pumping, Inc.; Payne v. D and D Electric; and Cullum v. K-Mac Holding Corp., d/b/a Taco Bell) where the appealing parties failed to provide a transcript or joint statement of the evidence as part of the record on appeal. The Appeals Board concluded that, under those circumstances, it must presume the trial courts’ rulings were supported by sufficient evidence. Higgins additionally reminded that, under the new law, corporations must be represented by counsel in the Court of Workers’ Compensation Claims. The Appeals Board’s first opinion for 2015, Jewell v. Cobble Construction and Arcus Restoration, discussed the standards for differentiating employees from independent contractors. Further examination of the distinction came a month later, in Thompsen v. Concrete Solutions. Jewell additionally provides insight on principal contractor liability. In between, the Appeals Board reminded in Burnette v. K-Mart Corp. that unrepresented parties are held to the same standards as attorneys. Stay tuned for part two, a look at opinions released this past spring, which will be posted next week.